Coaching football is hard enough as it is, so the last thing you need is a bunch of complex verbiage that makes it more difficult to teach your players your scheme and to make adjustments within that scheme as the game goes along. This is especially true if you make your living as a high speed no-huddle offense. Plenty of coaches out there spend a lot of time thinking about which plays they’ll be running and how to coach up a certain route or blocking assignment, but a lot of times they miss opportunities to make the learning process a lot less complicated for their kids, and as a result they’re not as effective as coaches as they could be. 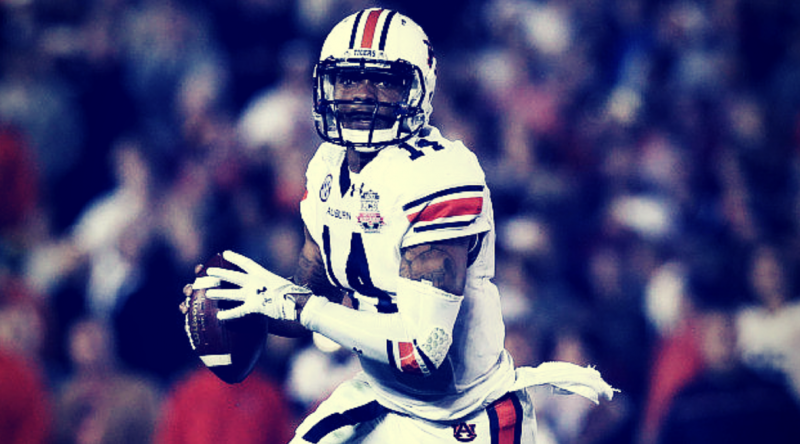 Gus Malzahn understood a long time ago that the faster and more efficiently a player processes information, the better he’ll play, and so he put a lot of thought into the best ways to put together his scheme as well as the best way to teach it. Malzahn talks about “choosing a theme” for your offense in this video, and in this post we’ll talk about, and expand upon, the points he brings up. 1. The theme needs to be simple for the players to remember and to relate to. In other words, it’s probably not a good idea for you to fill up your playbook with calculus or chemistry terms. You should strive to incorporate verbiage that your players use or are aware of in their everyday lives. You might think that naming your run concepts after characters from the Brady Bunch is a great idea, but let me save you some time: don’t. 2. You need a word association that is easy for your players to understand and remember. Building on the previous point, the best way for your players to memorize and then recall your system is for them to be able to associate a theme with another idea. As Malzahn says, things like state capitols or NFL teams are always a great idea, because not only are they terms that have a natural association to one another, but they’re also terms that your players will have heard many, many times and will have a much easier time recalling them during a game. 3. The words need a relationship in order for play action passes to compliment the run plays. The “relationship” part of this is key. Our brains form much stronger memories about something when that memory is attached to something we already know very well. It’s much harder to remember a long list of unconnected terms and phrases. You can take this approach even further to add related terms for screens, trick plays, etc. 4. The theme must allow the verbal command to be interpreted with physical motion by the signaler. You can have the best idea in the world for your terminology, but if you don’t have a way to get the information to your players on the field using signals, then it’s useless. Make sure that whatever terms you decide on can be reasonably paired up with some kind of physical signal that is easy to see from far away, since you’ll often have to signal to your offense in the red zone, or to your players lined up near the opposite sideline. 5. The theme must be flexible enough to expand in the future if necessary. This is a key point and is something that’s often overlooked by coaches. You can do all the preparation and scouting you want in the offseason, but there will always be things you didn’t anticipate or haven’t seen before, so you need to have a philosophy and style that is flexible enough to adapt to changing circumstances. Watch the whole course here.